Rodney Dinnel – age 60 of Gallatin, MO passed away Friday evening, January 25th, 2019 at Daviess County Nursing and Rehab in Gallatin. Rodney was born on August 16th, 1958 the son of Jay and Joan (Ayers) Dinnel in Kansas City, MO He attended high school in Richmond, MO with the class of 1976. 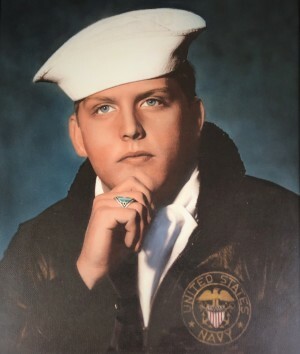 Rodney served 16 years in the United States Navy and was honorably discharged. Mr. Dinnel was preceded in death by: his parents; paternal grandparents, Eula and Hugh Dinnel; maternal grandparents, Ida Lee Passentino and Frank Ayers; brother, Robin Dinnel. Survivors include: sister, Cindy (Bo) Shannon; brother, Richard Bobier; sister, Johna Bobier; daughter, Alyssa Dinnel; granddaughter, Bailey; aunt, Gloria Spears; nieces, nephews and other extended family.